Brad’s practice is devoted to serving businesses, both large and small, with their intellectual property and other legal needs. Brad primarily practices in the area of intellectual property law, with a focus on trademark, copyright, Internet, franchise and sports and entertainment law. Brad has a strong background in both the transactional and the litigation practice areas. Brad has developed significant experience in a variety of areas of intellectual property and business law. 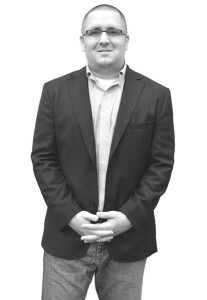 Brad is adept at drafting and negotiating sponsorship, license, software, franchise, and web-based agreements. Brad also particularly enjoys assisting clients with selecting, adopting and protecting their brands and other proprietary rights. In that regard, Brad is skilled at all aspects of the trademark practice, including clearing trademarks, prosecuting trademark applications, and, when necessary, representing clients in Trademark Trial and Appeal Board proceedings, UDRP proceedings and federal litigation. As Brad’s undergraduate degree is in entrepreneurship, Brad appreciates the unique needs of small businesses and greatly values working with entrepreneurs.